The gift idea for a birthday - a helicopterflight voucher. 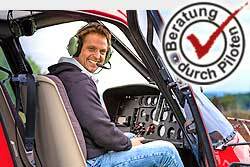 Surprise your loved ones with this very special gift and take off by helicopter over Wels. - Can be credited to all our offers. - Only 2 passengers with special price per group flight. - The flights take place on the weekend, the recipient can make an appointment with us. - The flight takes place in groups of 3-5 persons. - Additional passengers can be booked at any time. - Can not be cumulated with other actions. The flight time is about 30 minutes.